The Tooth Station is owned and operated by the longest serving children’s dentist in the Folsom California area, Dr. Bryan Randolph. We pride ourselves on treating each child just as we would our own. As a parent himself, Dr. Randolph knows that each child is unique and needs personalized attention. If you’re new to our office, we encourage you to browse our website to learn more about what you and your child can expect when visiting our team. To make your appointment, simply call or fill out a request online. If your child is timid, we always allow and even encourage them to sit on your lap while they receive preventive dental care. For patients with special needs, or those with heightened dental anxieties, we provide safe and effective nitrous oxide sedation. A good visit to the dentist is one that leaves your child happy, confident, and excited to come back and see us again. At the Tooth Station, Dr. Bryan Randolph is your single dedicated care provider. 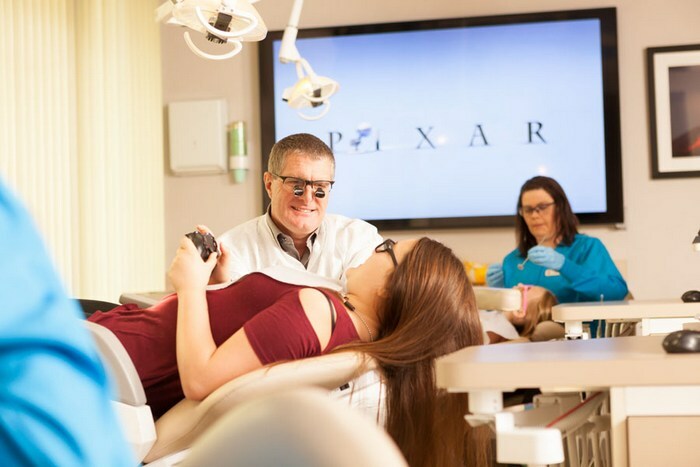 You can feel confident knowing that our pediatric dentist will always remember your child and their unique dental health, as well as what is happening in their lives. This detail makes all the difference and turns each appointment into a stress-free visit with friends, not strangers. From prevention and protective mouth guards to restorations that include pediatric root canals and crowns, our entire team is here to help. Our mission is to lay the groundwork for a lifetime of stress-free visits. We do this by always explaining treatments, never over-treating, and employing a kid-friendly staff that looks forward to seeing every one of our young patients. Our dentist and team know that happy kids make happy parents. 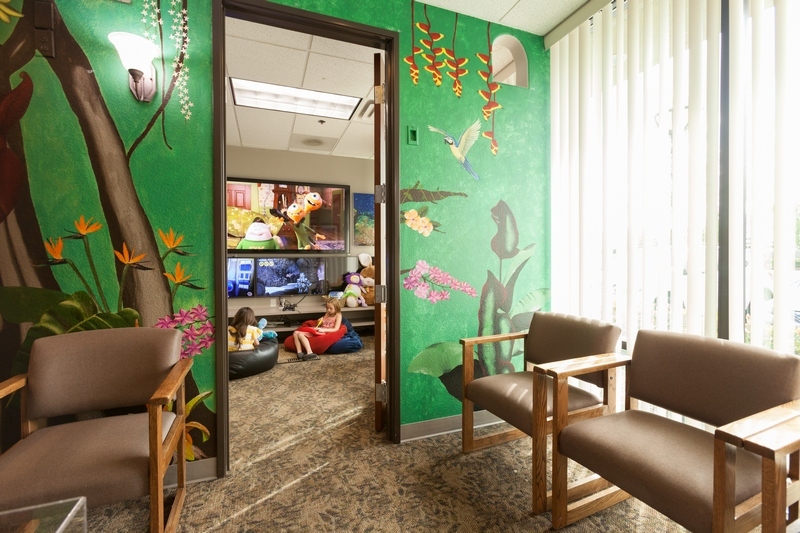 Our office features lush jungle murals, a revolving train, balloons, an entire playroom full of books and game. As soon as they step into our practice, your kids will be filled with a sense of excitement, not anxiety. Visit the Tooth Station for dental care that meets the health needs of infants, toddlers, children, teens, and young adults. Visit the Tooth Station Today! We welcome new and returning patients with the same warmth and commitment to individualized care. If your child is ready for their first check-up, or you’re looking for a children’s dental specialist in Folsom, contact the Tooth Station to schedule your appointment. We look forward to helping your child enjoy a healthy and confident smile.